(VIDEO) HSH Prince Albert II of Monaco Visits Monégasque Company, Ze Sentinel. On December 9, 2015, His Serene Highness Prince Albert II of Monaco visited the Ze Sentinel booth during a side event at the United Nations Climate Change Conference (COP 21) in Le Bourget, Paris, France. 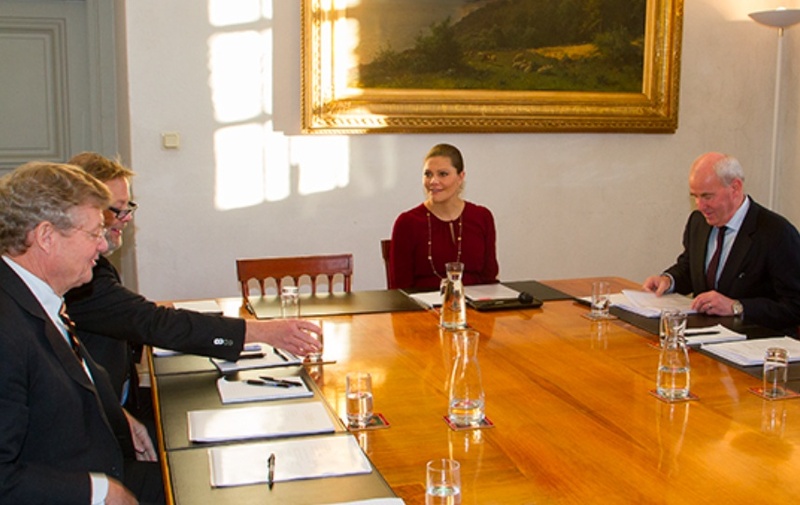 HRH Crown Princess Victoria of Sweden Participates in a Meeting. On Monday, December 14, 2015, Her Royal Highness Crown Princess Victoria of Sweden participated in a meeting with representatives from the Kronprinsessan Victorias Stiftelse för Vetenskaplig Forskning (Crown Princess Victoria’s Foundation for Scientific Research and Training) held at the Kungliga Slottet in Stockholm. (VIDEOS) HRH Prince Harry of Wales Meets with HIV Positive Patients. On Monday, December 14, 2015, His Royal Highness Prince Harry of Wales arrived at the Mildmay UK Hospital in East London to meet with HIV (Human Immunodeficiency Virus) Positive patients as well as dedicated doctors and staff who treat the patients. “…the only center in Europe dedicated to rehabilitation for people with a complex HIV condition called HAND – HIV Associated Neurocognitive Disorder. This condition occurs when HIV enters the brain causing symptoms similar to severe dementia, including memory loss, confusion, loss of a sense of self, difficulty walking, speaking and coping with to day to day tasks. During today’s visit Prince Harry officially opened the hospital’s new £6 million new purpose-built facilities. For more information about Mildmay UK Hospital and the great work they do please visit their official website here.